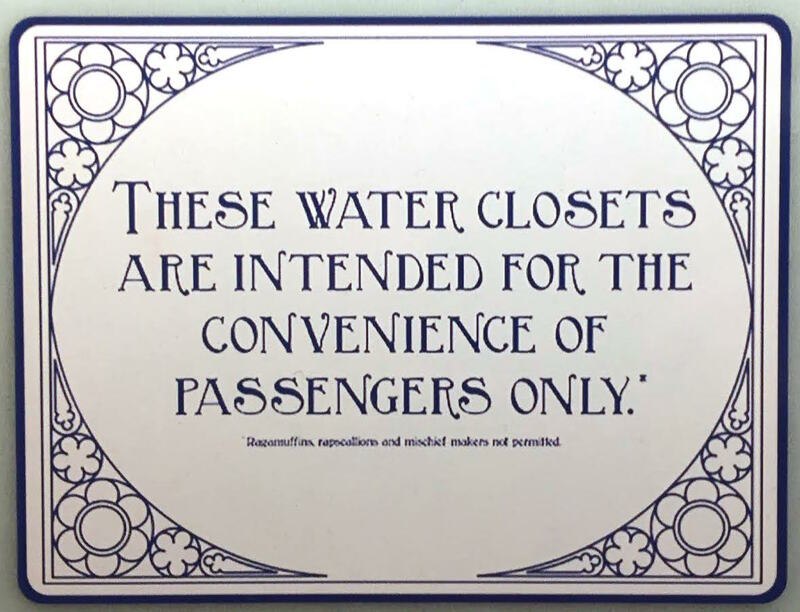 Passengers Only | Normative Signs: The Poetry of "Ought"
This sign is from the bathroom aboard the Eurostar train from Paris to London. One wonders who else other than passengers might be tempted to use it. Given that this particular bathroom generally travels at about 300 kilometres per hour (186 mph), it’s hard for non-passengers to casually slip in. This photo was contributed by Wayne Norman, who points out that the decor of this bathroom is probably “a helluva lot more effective than imploring patrons to be tidy and not abuse or deface the facilities….” Not all signs, in other words, are signs. This is all pretty tongue-in-cheek, obviously. Note the small print beneath the supposedly (deliberately?) absurd sign: “Ragamuffins, rapscallions and mischief makers not permitted”! 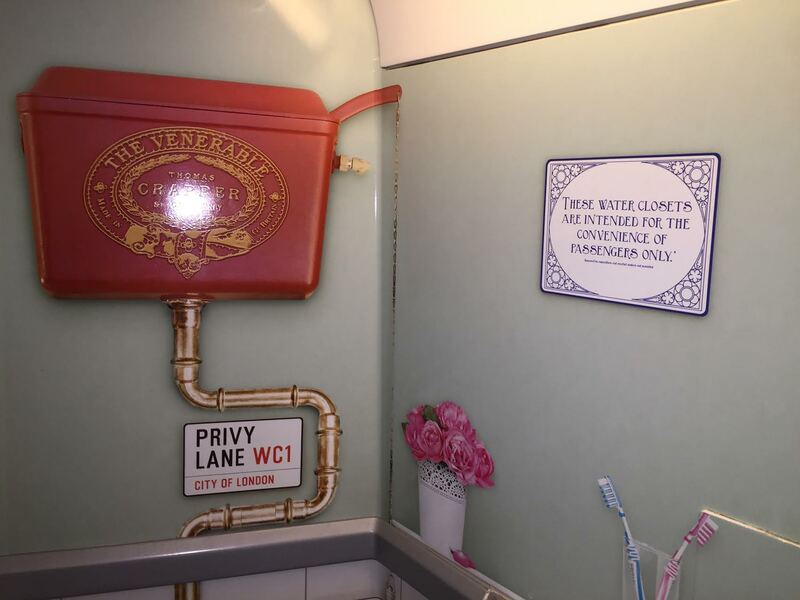 The faux London street sign: “Privy Lane” and “WC1″… The painted-on toilet tank made by “Thomas Crapper and Company”….